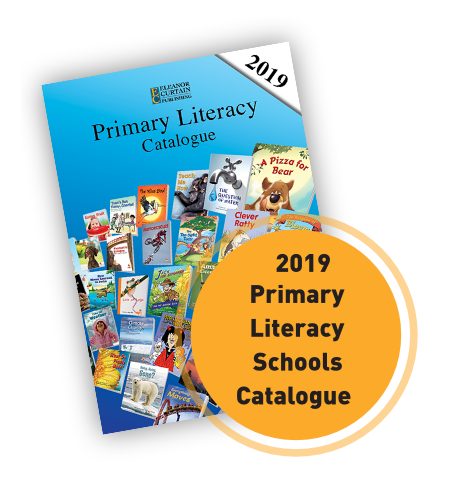 In these terms, ‘ECP’ means Eleanor Curtain Publishing Pty Ltd trading as Eleanor Curtain Publishing ACN 158 519 978 ABN 59 158 519 978 and ‘you’ means the person who is placing the order. Words in these terms that are spelt with initial capitalised letters have particular meanings in these terms. In most cases, their meanings are set out below at the end of these terms but some meanings are set out in the body of this document. When an order placed by you in accordance with these terms is accepted by ECP, the Order and these terms form a contract between ECP and you. That contract for the supply of products that are listed on this website here and that ECP agrees to supply to you under these terms is referred to throughout these terms as the Contract. The Contract cannot be varied unless ECP agrees to vary it in writing or by email. ECP reserves the right to vary these terms from time to time by posting amendments to this website or by notifying them to you by some other means. The amendments will take effect immediately they are posted on this website or otherwise notified to you and will apply to all Orders made after that date. 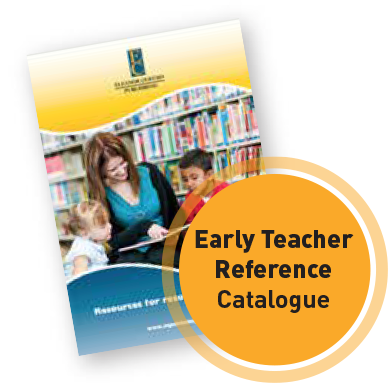 By listing products for sale in the teacher reference catalogue, ECP is inviting you to do business with ECP but is not offering to supply any particular products. You may place an order online by following the steps set out here. Prices for Products listed on this website are expressed in Australian dollars and are inclusive of Australian Goods and Services Tax. You must also pay any postage, freight and handling charges applicable to your Contract. You may pay for the Products you have ordered using the payment methods specified. When you submit credit card details, ECP obtains a pre-approval from the credit card provider for the amount specified in your Order. That amount is billed to the nominated credit card when the Products specified on the Order are shipped. Payments remitted via Direct Deposit/Bank Deposit may take longer to process in the event of intermediary bank transfer delays. You may not cancel an Order once it is submitted. ECP reserves the right to refuse to supply an Order that you submit, even if you have paid for the Order, and ECP is not obliged to give any reason for the refusal. If ECP cancels an Order after you have paid for it, the amount paid will be refunded as soon as reasonably practicable. ECP will send the Products specified in your Order to the shipping address specified in the Order. ECP will use commercially reasonable endeavours to make sure that the Products are shipped in accordance within 4 days of receipt. Should your item/s not be available for any reason, you will be contacted by one of our customer service representatives. All Orders for delivery within Australia are shipped by Australia Post in accordance with the options set out during the Order checkout process. Orders shipped via Australia Post generally take approximately 3-4 business days to reach most locations within Australia from date of dispatch from ECP’s warehouse. Please note these figures are indicative only and we do not have any control over your Order once it has been picked up by Australia Post. If delivery to your address cannot be made, Australia Post will advise you of your nearest Australia Post Centre to pick up your Order and leave a notification card at your delivery address. All other Orders are shipped by Fed Ex Post in accordance with the options set out during the Order checkout process. Delivery times average 5 business days via the Fed Ex international network following dispatch from ECP’s warehouse. We advise however that you contact your local Fed Ex agent to calculate the shipping time from Australia to your destination. Please note these figures are a guide only and we do not have any control over your Order once it has been picked up by Fed Ex. ECP will not be liable to you at all, whether under the terms of the Contract or in negligence or otherwise, for any late delivery of, or failure to deliver, the Products. Title in the Products will pass to you when payment in full is received by ECP. Risk of loss of or damage to the Products passes to you when the Products are delivered to you. All sales are firm. In the unlikely event that your Order contains a Product that has been damaged please notify us via email at info@ecpublishing.com.au within 3 business days from receipt. we require any faulty or damaged Products to be returned by mail in order for you to receive a replacement. We will reimburse any postage costs for all damaged returned items. no refunds will be given for faulty Products that you or any person not authorised by ECP has repaired or attempted to repair. The only warranties, conditions or other terms that are binding on ECP are those expressly stated in the Contract. To the extent permitted by law, any term concerning the Products or any service that we provide to you which might otherwise be implied into or incorporated in the Contract by statute, common law or otherwise (including without limitation any implied term as to quality or fitness for purpose) is excluded from the Contract.. If a Product does not comply with an applicable Consumer Guarantee, you have rights and remedies under the Australian Consumer Law. Without limiting those rights and remedies, nothing in the Contract excludes, restricts or modifies the operation of, or any right or remedy that you might have under, any applicable Consumer Guarantee. ECP’s maximum aggregate liability under the Contract whether in contract, tort (including negligence) or otherwise will not exceed the amount payable by you to ECP in respect of the Product or Products for which the liability arises. Without limiting the operation of, or any right or remedy that you might have under, any applicable Consumer Guarantee, ECP will not be liable for any loss or damage suffered or incurred by you arising from any delay by ECP in fulfilling or any failure to fulfil or otherwise discharge any of its obligations under the Contract, if the delay or failure is caused by anything beyond ECP’s reasonable control. The terms of the Contract replace all previous representations, arrangements, understandings and agreements between you and ECP relating to its subject matter and contain the entire agreement between you and ECP relating to that subject matter. The Contract is governed by the laws of Victoria and you and ECP each irrevocably submit to the non-exclusive jurisdiction of the courts of Victoria. Consumer Guarantee means a consumer guarantee set out in Division 1 of Part 3-2 of the Australian Consumer Law. Contract means the agreement between ECP and you that is formed when ECP accepts an Order. Order means an order that you place in accordance with these terms. Product means a product listed on this website as available for sale that ECP agrees to supply to you in accordance with these terms.